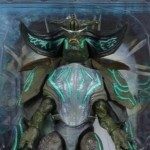 NECA has posted the first in-package photo of their next Pacific Rim Deluxe Kaiju; Scunner. This figure features four articulated arms and a poseable tail. The deluxe sized Kaiju from NECA are a bit larger than their 7″ figures, though meant to be in scale with them. Scunner is due for release in August and will sell for between $25 – $30. See the photo after the jump. 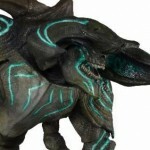 NECA has posted the first look at a new Deluxe Kaiju from their Pacific Rim line. The newly released photo shows off the Kaiju known as Scunner. No word on release date at this time. We’ll have more info as it becomes available. Read on to see the photo.